Our friends Norm & Jane at Vinyl Record Talk are doing a radio gig and will be joined by another friend in vinyl, artist Daniel Edlen. Now, if you haven't seen any of his work (he is getting to be world famous!!) I have included a couple of samples. Artist Daniel Edlen will join Terry and Tiffany, along with Jane and Norm on Cult Radio A Go Go this Saturday 6pm PT (cultradioagogo.com ). 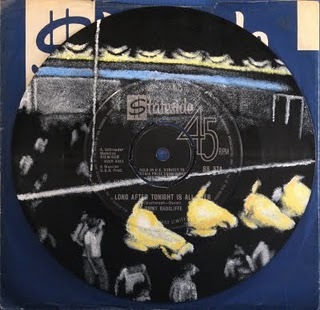 Daniel Edlen will be discussing his current work with the David Lynch foundation as well as the Northern Soul art he's created for Norm and Jane (shown above). This series is based on the 3 Before 8 and the last song played at Wigan Casino. is one of the finest creative minds of the past 20 years. 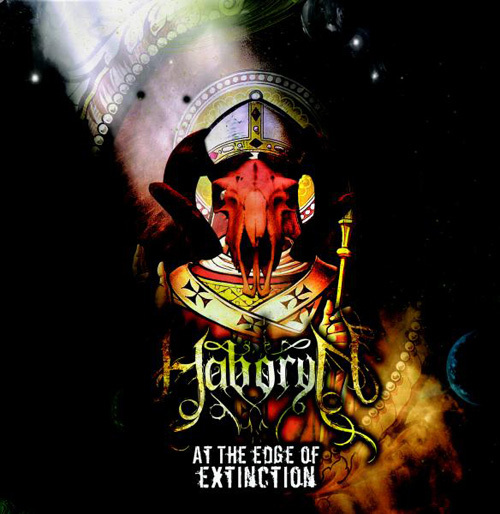 Venezuela's Haboryn has announced its new album will be titled "At the Edge of Extinction." The band has now revealed the cover artwork, designed by Jaime Loor. 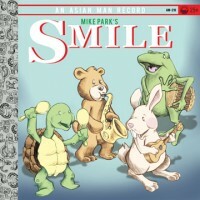 Mike Park Makes Music For Kids! In 1900, His Master's Voice, the logo of the Victor Recording Company and later RCA Victor, was registered with the US Patent Office. 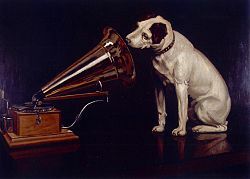 The logo shows the dog, Nipper, looking into the horn of a gramophone. In 1959, the Coasters record "Poison Ivy" at the Atlantic studios in New York. The song would become their sixth consecutive Billboard Top Ten hit. In 1960, Hank Ballard and the Midnighters become the first group to place three records on The Billboard Hot 100 at the same time - "Finger Poppin' Time", "Let's Go, Let's Go, Let's Go" and "The Twist". In 1966, Eric Clapton formed a new band he called "Cream", along with two former members of the Graham Bond Organization, bassist Jack Bruce and drummer Ginger Baker. The trio lasted just 2 years, but left us with some classic Rock tunes like "Sunshine of Your Love" and "White Room". To this day, Clapton says he does not look back on those days with great fondness, but many fans feel that he was at his best at this point. In 1966, The Lovin' Spoonful release "Summer In The City". Although they would place seven straight songs in Billboard's Top Ten, this would be their only number one. Also in 1966, Tommy James and The Shondells started a two week run at #1 on the US singles chart with "Hanky Panky", a song first recorded by The Raindrops in 1963. A Pittsburgh DJ had begun playing the two year old recording and regional record sales had reached over 80,000. James called the members of his now defunct band, but they were no longer interested. He recruited a group called The Raconteurs to be the new Shondells and took the master tape of "Hanky Panky" to Roulette Records, who released it. Despite being a huge hit in the US, it could only reach #38 in the UK. Tommy would later say, "One night I was playing for 20 drunks in a bar in Michigan, and the next night I'm playing for 10,000 screaming fans in Pittsburgh. It was literally overnight." The lineup for 1967's Newport Folk Festival included Joni Mitchell, Judy Collins, Janis Ian, Leonard Cohen, Tom Paxton and Eric Anderson. The Fillmore West reopens in the former Carousel Ballroom in San Francisco in 1968. Bill Brother & the Holding Company and Sly and the Family Stone play opening night. The Who's "I'm Free" was released in 1969. In 1969, the Beatles worked on two new George Harrison songs, "Here Comes The Sun" and "Something" during recording sessions at Abbey Road studios in London. In 1972, Smokey Robinson performed his final show with The Miracles before going solo. They had been together since 1959. Throughout the 1970s and '80s, Smokey would continue to make hit records, including "Cruisin'" (#4 in 1979), "Being With You" (#2 in 1981) and "Just To See Her" (#8 in 1987), while The Miracles would reach #1 in 1975 with "Love Machine". The Allman Brothers Band split up in 1976. Also in 1976, Kenny Loggins and Jim Messina announce that they were dissolving their partnership after a six year run. The pair had cracked the Billboard Top 40 three times, including the #4 hit "Your Mama Don't Dance" in 1972. Loggins' solo career would bring 14 more US Top 40 hits. In 1977, Barry Manilow had the #1 LP on the Billboard Hot 200 album chart with "Barry Manilow Live". It has since been certified quadruple Platinum. In 1981, Harry Chapin was killed in an accident on the Long Island Expressway. Chapin's blue 1975 VW Rabbit burst into flames when it was hit from behind by a tractor-trailer truck. The 38 year old Chapin is best remembered for his top 20 hit "Taxi" in 1972 and "Cat's in the Cradle", a number-one in 1974. In 1996, Michael Jackson performed at a birthday party for the Sultan of Brunei and was paid between 15 and 20 million dollars. Also in 1996, John Panozzo of Styx died of a hemorrhage brought on by alcoholism at the age of 48. 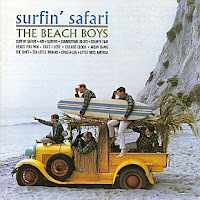 The band had a string of hits that included "Grand Illusion", "Mr. Roboto", "Come Sail Away" and "Babe". In 2003, Santana ended their Supernatural Tour and donates $2 million to fight AIDS in South Africa. In 2003, Chrissie Hynde was arrested while blocking a Paris street with other members of PITA, protesting a Kentucky Fried Chicken. In 2009, two stage workers were killed while assembling the stage for a Madonna concert in France.